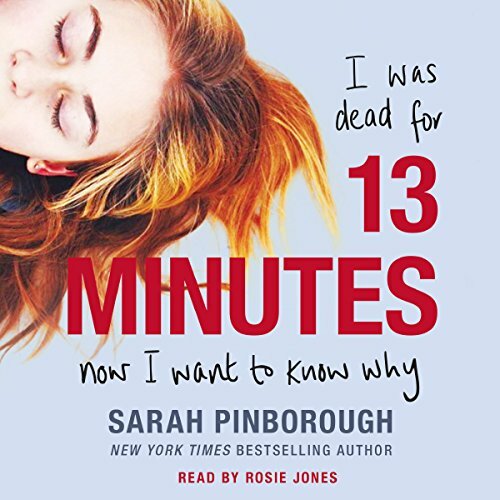 Soon to be adapted for Netflix by the creators of Gossip Girl, Sarah Pinborough's YA thriller makes for a delicious audiobook. The New York Times best-selling author known for her thrilling twists is back. Natasha doesn't remember how she ended up in the icy water that night, but she does know this - it wasn't an accident, and she wasn't suicidal. Her two closest friends are acting strangely, and Natasha turns to Becca, the best friend she dumped years before when she got popular, to help her figure out what happened. 13 Minutes is a psychological thriller audiobook with a killer twist. From the #1 internationally best-selling author Sarah Pinborough. Well, this is definitely YA. BUT it definitely held my interest and I really enjoyed the narrarator. Mean girls mixed with Pretty Little Liars. And I like that sort of thing. This book may seem like it gives away to much in the middle but there’s a good twist in the end. It’s a guilty pleasure read for childish high school drama. The reason behind it all is though kind of dumb but most reasons you hear about in the news are dumb. love Sarah's imagination!!! her descriptions are so realistic, I actually got the urge to Google or look up what the characters were searching in the story. Perfect performance from the reader as well. although the transitions from one character to the next was confusing at first. you just have to pay attention. I loved this story! It was not at all what I expected. It had the air of Mean Girls and Heathers. Great characters. Believable plot. Twists and turns. The narrator had a lovely voice and performed the various voices so well it felt like you were really hearing various people. Highly recommend. This book keeps you engaged throughout. You think you know what's happening and BAM Sarah Pinborough slaps you across the face with her genius.. Loved it. The only thing I would have liked, was at least one more chapter to pull everything together. The ending left you wanting more. I have to admit I only read this book because my 13 year old daughter wants to read it. I found it To be very good book very entertaining.Good characters Entertaining story nice plot. I found myself totally engrossed in this book. Didn't want to stop listening. Highly recommended. I loved this unpredictable plot. I have enjoyed Sarah Pinborough's novels. She has a great imaginatoion. Ending was a little weak, but good overall. This is definitely a modern ‘Mean Girls’ type story. A bit implausible because I find it hard to believe a sixteen year old is capable of the incredibly diabolical aspect of the plot. Nonetheless, an engaging story with good narration. Has most of the social games involved with high school, spot-on. Although it’s been decades since I was there, some things never change... they just get updated.